Trust is More than Skin Deep. in Lake, Pinellas and Polk Counties! Open April 1st. Call Today! Florida Dermatology and Skin Cancer Centers are comprehensive dermatological centers, offering a wide variety of services to help you keep, protect, and return to healthy, beautiful skin. 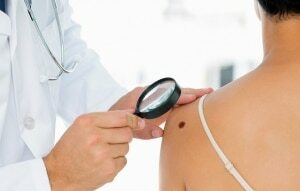 We offer services in general dermatology, cosmetic dermatology, and skin cancer treatments. 3725 South Highway 27 Ste 105. 931 U.S. Hwy 41 S.